Plastic has many important uses, but it comes with many problems – it wastes non-renewable petroleum resources, releases toxic chemicals into our environment, leads to litter which kills and injures sea turtles and sea birds, clogs sewers, and hinders recycling, and provides a means for toxins to enter our bodies. Although we can’t eliminate all plastic in our lives, we can eliminate single-use plastics like plastic grocery bags, straws, water bottles, and coffee cups. 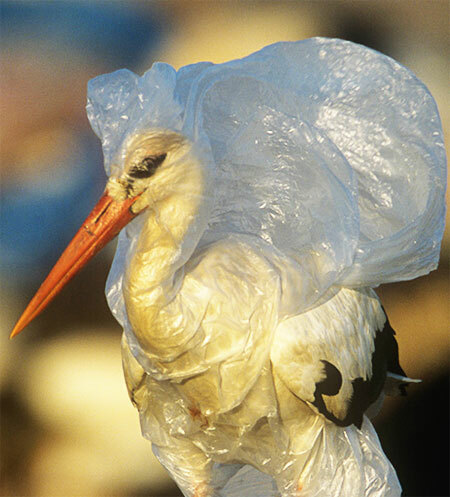 In Florida only 12% of plastic bags are reused or recycled and since our state has the second longest coastline (after Alaska), many of those bags end up in the water where they can kill or injure sea creatures. In fact, so much plastic ends up in the world’s waters, by 2050, there will be more plastic than fish in the oceans. Much of this plastic will degrade to smaller and smaller pieces (microplastics) which have already entered the food chain absorbing toxins and releasing them in our bodies. What can we do? Choose to refuse single-use plastics. Bring your LWV (or other) reusable bags to the grocery (and other) stores so you don’t take the average 15 bags which are typically used for 12 minutes. Eating out? Say no to a straw in your water, iced tea, or soda, or bring with you one of the reusable straws. Fill your stainless steel or glass bottle with water before you leave the house and don’t forget your reusable coffee cup.